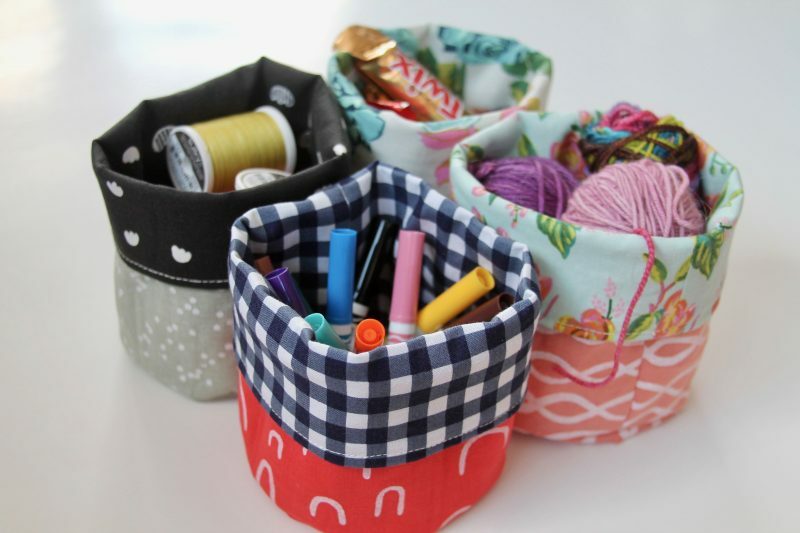 Maybe you remember my tutorial for round bottom fabric buckets? I posted it way back when with instructions for two sizes. 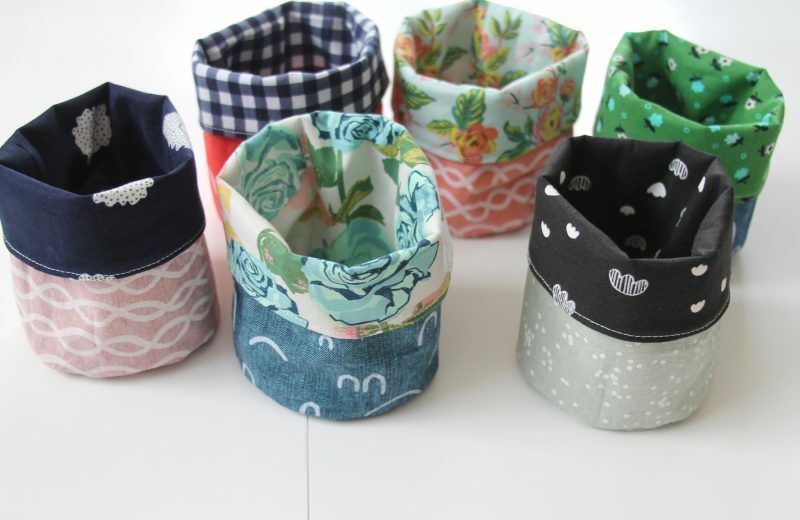 Recently when I was asking my friend for teacher gift ideas she suggested mini fabric buckets to hold a baby potted plant. Yes! I thought it was perfect and quickly set to work adjusting the sizes to create this tiny version. This baby size might be my favorite! 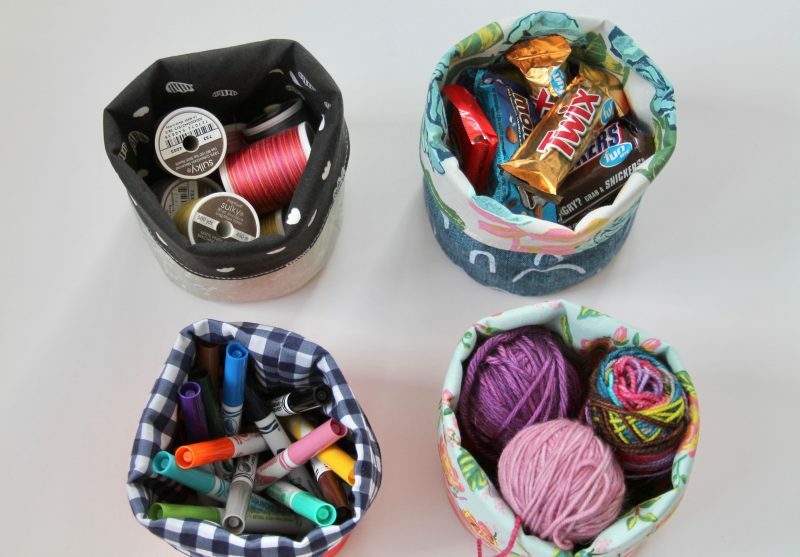 They’re so cute and quick to make, and really, don’t we all need more tiny containers to hold little treasures? 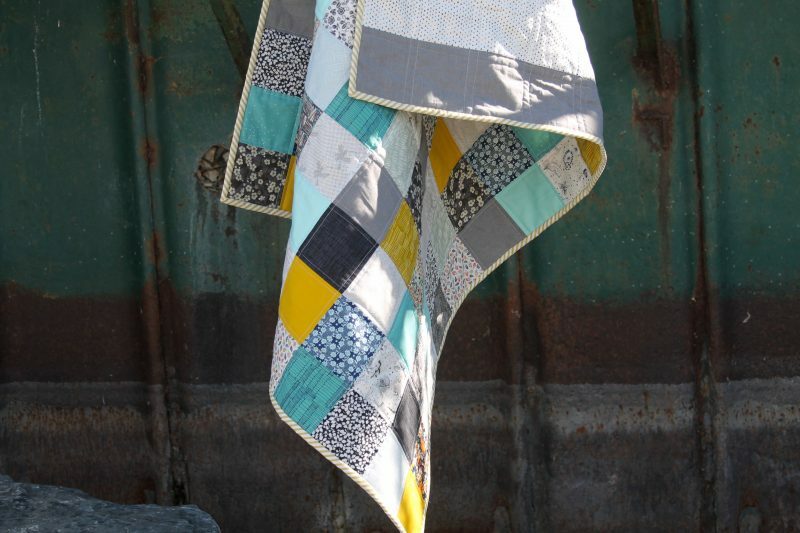 I used Erin Dollar’s Arroyo fabric for the exterior of this bunch – they’re printed on Robert Kaufman Essex and I like the extra structure the linen blend provides. 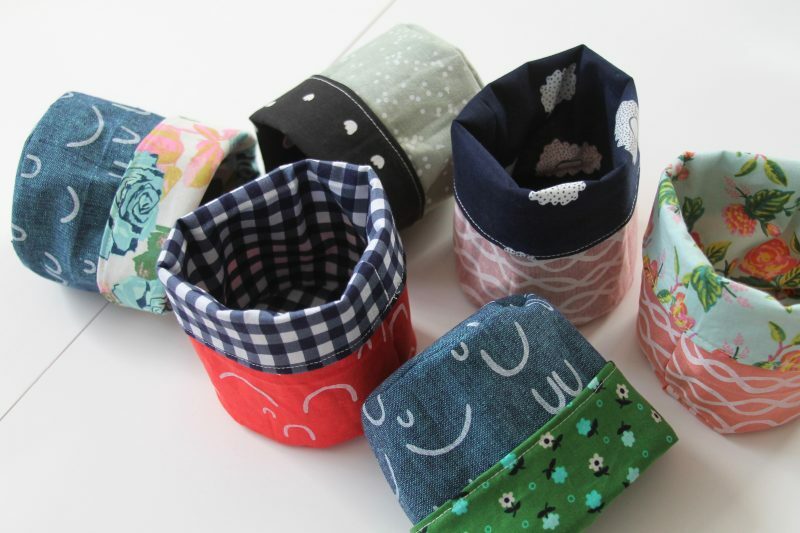 Coupled with a bit of interfacing (I used Pellon 931TD fusible midweight because that’s what I had on hand), these little buckets are quite sturdy! 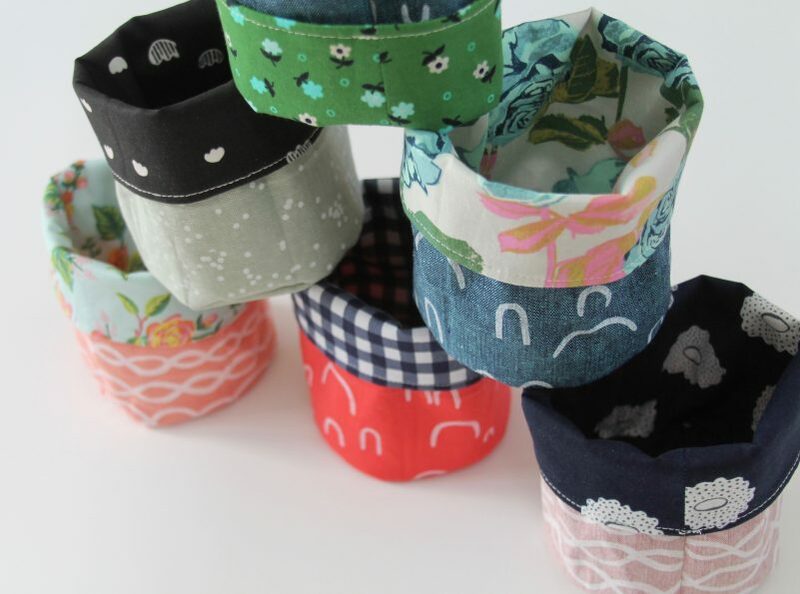 I’ve updated the fabric bucket tutorial to include the measurements for this little size, so head over there if you want to make up a few of these! I nearly forgot about this one! I made this one early in the summer, and even took photos (look, leaves! ), but apparently failed to get it on the blog. I pulled this fabric selection back in May while looking for some inspiration. 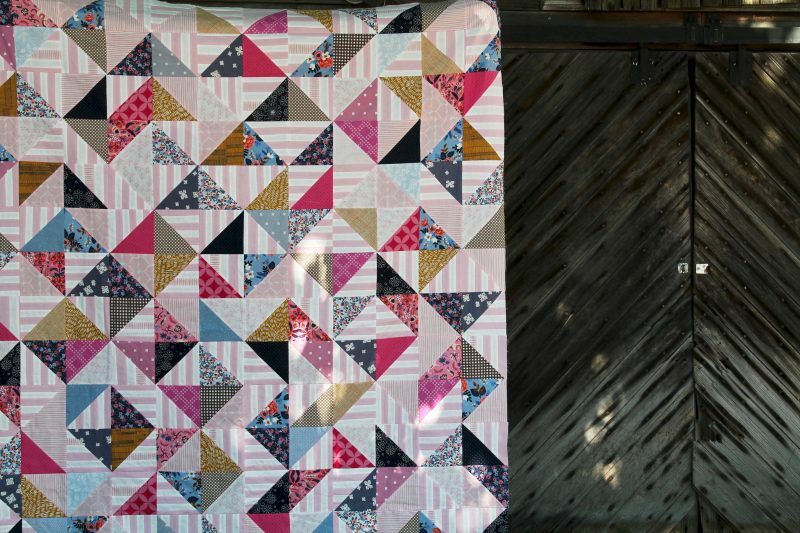 I always enjoy sewing half square triangle blocks, so decided to keep it simple with some hsts for this bunch of fabrics. I know, I know. 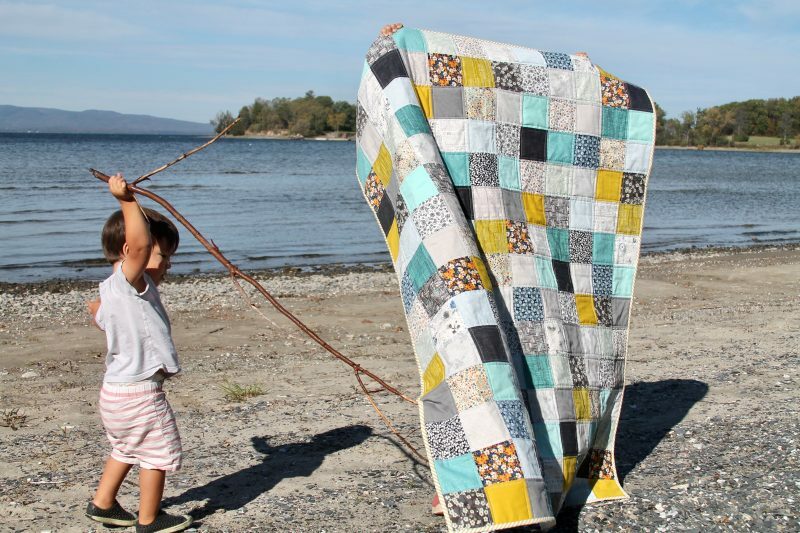 So many Liberty of London baby quilts… I just can’t help myself I love them so! I put this one together a while back and recently unearthed it in my quest to finish up older projects. 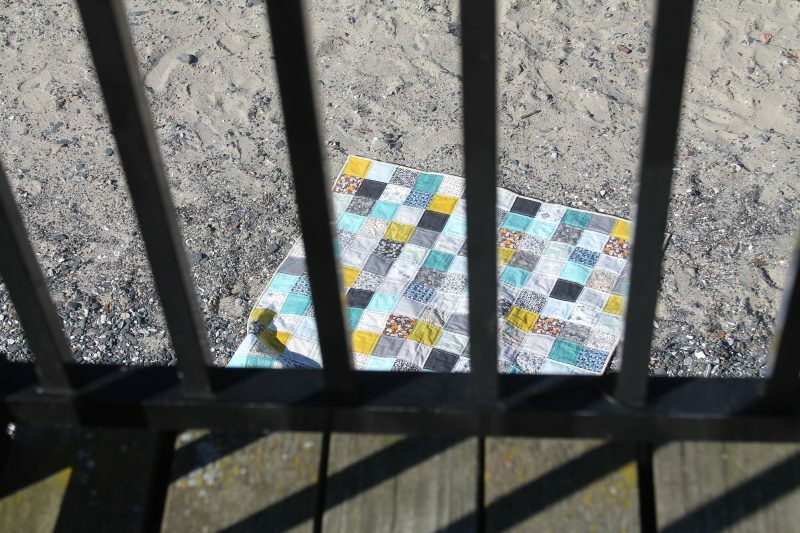 I have long loved Liberty of London fabrics, and think it’s fun to see how I can pair them with other solids and basics from my stash. 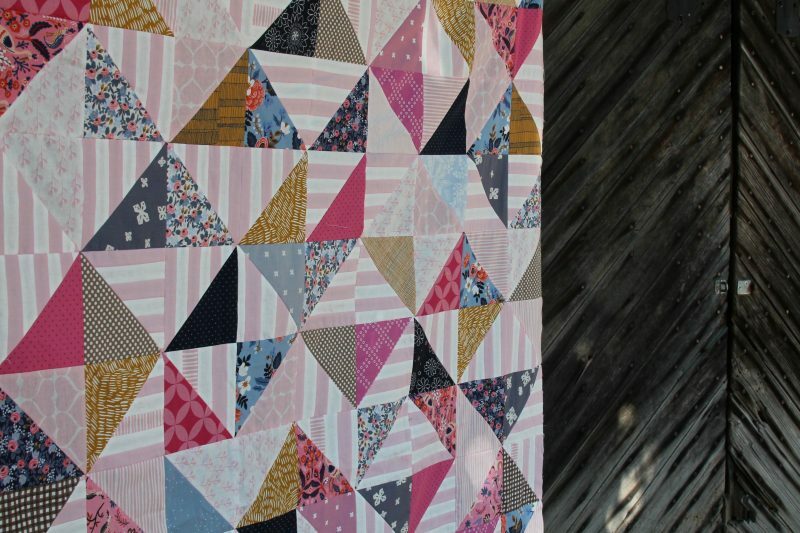 Periodically I’ll go through and make up various groupings, some of which actually end up as quilts! In fact, immediately after finishing this one I pulled the Liberty back out and came up with a couple additional combos. 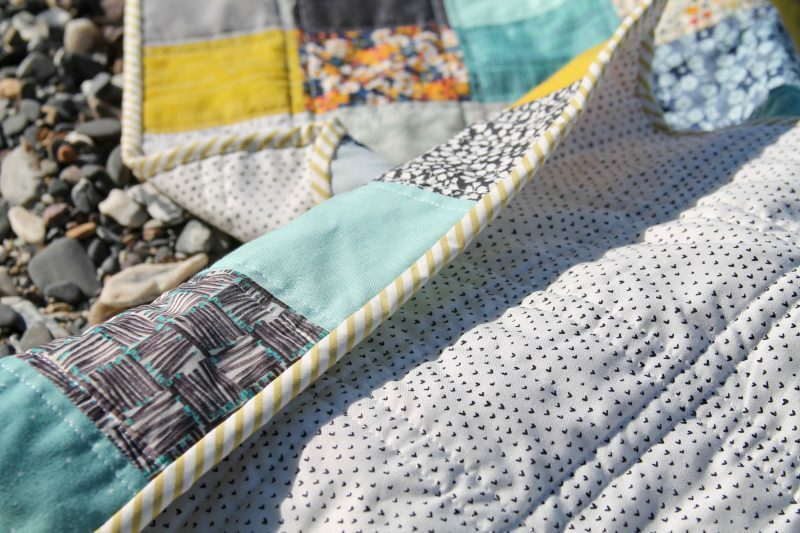 This one is maybe not traditional baby quilt colors, but I love the pairing of the aqua and mustard with the grays and bits of black and white. 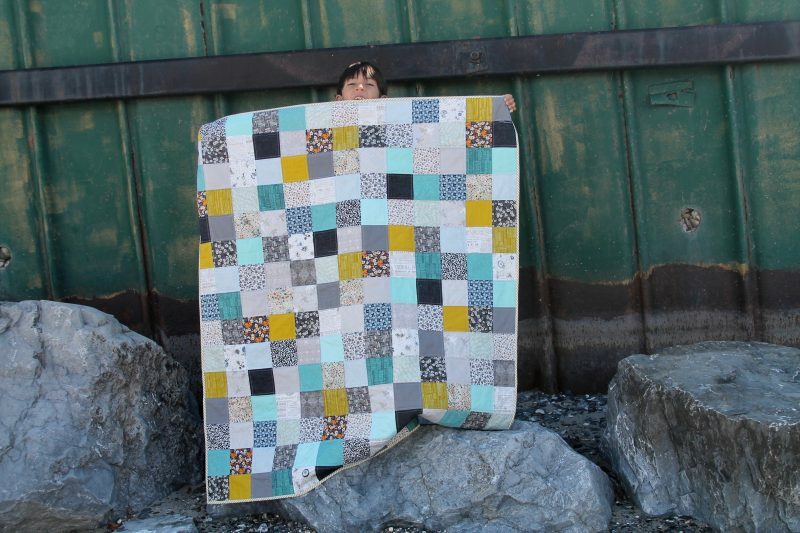 The backing is this cute heart print and I found the perfect stripey binding in my stash. 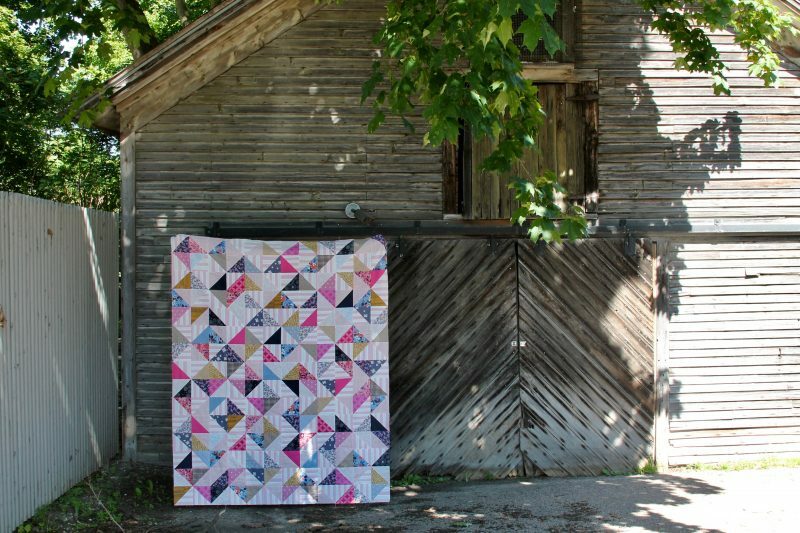 I’ll be posting this one on my IG destash page, so check there if you might be in the market for a fun little quilt! Also, if you want to add some Liberty of London prints to your stash, be sure to check out Jones & Vandermeer. They have a great selection of Liberty (in fact I just ordered a few additional prints last night!) and are currently offering a 10% discount with code FRIENDS10.